It’s always difficult to know where to begin when you embark on the first-time salon manager journey. There are so many things to focus on, that sometimes, making your marks with an established team can prove to be difficult. A good way to find out what is happening within a salon is to look at the customer reviews – mainly the complaints and how these are dealt with. If there is no log of complaint procedures, for example, that speaks volume. To me, it means the salon isn’t keeping a close eye on the complaint, not dealing with team members who are having the complaints, but also not creating best practice from it. And if they are, but aren’t logging it, then there is an issue with the lack of procedures and management follow-up. If there is a log of all complaints, what are the issues? is it mainly staff, maintenance; are there a lot of complaints or just a few? This will give you an overall feel of the business and how the customer is looked after. As a first-time salon manager, one important thing to focus on is dealing with any pressing HR issues straight away. The team needs to see that you are efficient at resolving problems. I would ask the management team what needs attention and focus on this. If you don’t have any management team, you can assess the situation with individual meetings and do these sooner rather than later. Obviously, recruitment can be a lengthy process, but it is your bread and butter. Therefore, to set up the process straight away is key to your growth. If there is a vacancy, you must pay attention to it immediately. Ensure that the process in place at the time is efficient, and if not, put your own mark on it. For example, if there is no phone interview, make sure it happens from now on. In other words, create a procedure for managers to see. Analysing your budget and targets is key to your plan of action. Budgets can tell you everything about the decisions made within the salon. Is there overspending on products? Is the staff cost over 45%? To make an impact as a manager, you must achieve the targets. Therefore, it’s imperative you study the figures, create your own understanding of the budget and look at forecasting for the forthcoming months. Every decision you make should be a financial one from then on; your budget is the key to your success. Another good way of understanding the salon’s dynamics is to observe and work as part of the teams. At the reception, do some cleaning, wash hair, fold towels. Whatever it is, for the first two weeks as a first-time salon manager, be a part of the team so employees forget who you are and behave the way they normally behave. If you go into a team all gun blazing, you will upset and control rather than lead. Observing with the sole aim to make changes for the better creates a strong, long-term impact on the team and business. Your vision is the heart of your success. What do you want to achieve within your first year of employment? Where do you want the salon to be within that year? Winning awards? Generate 20% retail sales? Whatever it is, make up a sentence for it and stick it above your desk. This vision, or mission statement, will be shared with your team in individual meetings. People cannot feel part of a goal if that said goal is only in your head. Have individual meetings to communicate your vision to everyone, but also to find out where each individual is at. Ask them about their vision, their expectations, iron out any issues that might be and create a connection. It is important that whatever their structure, you conduct these meetings regularly as per my previous blog. What procedures are currently in place? What do you have to implement for the smooth running of the salon? Creating procedures is a lengthy process, but from what you have observed, you will know what needs to be addressed with the team the fastest. 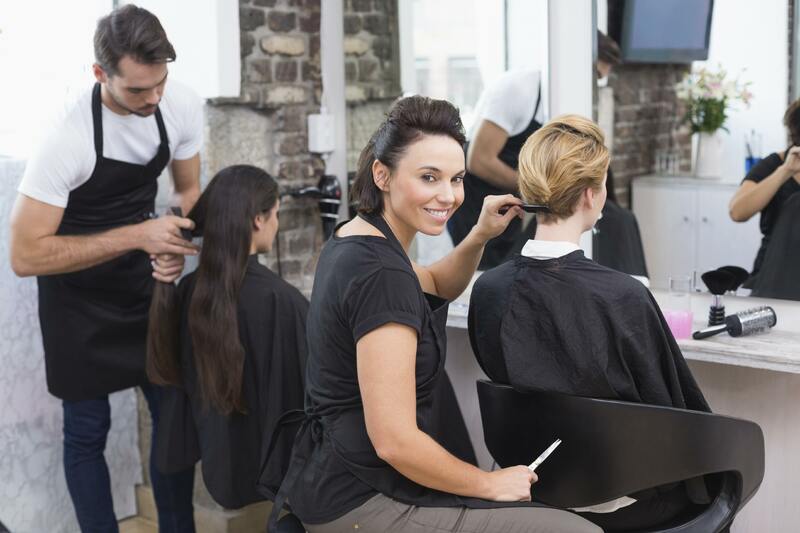 Procedures will be the key to your foundations as a first-time salon manager. With the observation that you have made combined with the issues that you have dealt with in the first 3 weeks, you are now ready to create your plan of action for the next 3 months. Be extremely detailed in what you want to achieve and always put a reason to why you are doing this as well as what outcome you’re expecting to see. This plan of action will help you stay focused and create an impact on both the team and the revenue. Last but not least comes the team meeting. This is what will connect everything together. It is important to adopt the 3 P’s (Plan – Prepare – Present), so you really engage the team in the changes you want to make, get them to embrace targets, KPIs and focus on new ideas for marketing. This meeting comes after 4 weeks of all the above and becomes the pivotal point of your leadership. Good luck, stand your ground, and keep your head up! Editor’s note: Remember when you were in those shoes and facing the challenges of being a first-time salon manager? We’d love to hear your tips, know if we missed anything and any other kind of management advice you wish you had been given at the time you started! Let us know in the comments or share your stories on Twitter @thephorestword. You might even land a spot on our Salon Owners Podcast, Phorest FM! Improving the way you communicate with each staff member working in your salon ultimately makes everything smoother. Download now. 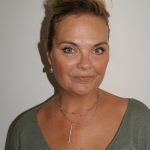 Valerie Delforge is a Commercial Trainer and Coach for the Spa, Beauty and Hair industry. Valerie specialises in creating specific workshops to support managers. Founder of Delforge + Co, she is keen to support the industry in achieving its best. For a list of procedures and coaching, visit Delforge + Co. or contact valerie@delforge.co.